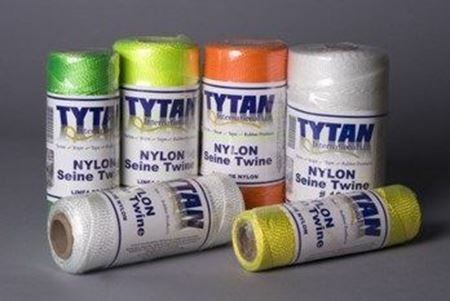 Nylon seine twine is available in two different styles: braided or twisted. Seine twine has outstanding strength and durability. It does not untwist or kink. Seine twine is used for mason line, chalk line, trot line, net repair, trap heads, fishing line and hand crafts. It is avaialble in natural, neon yellow, neon orange or neon pink. Other colors and put ups avaialble upon request.